I am and always have been a huge fan of notebooks and since I've started blogging my cravings for beautiful stationary has reached new heights. 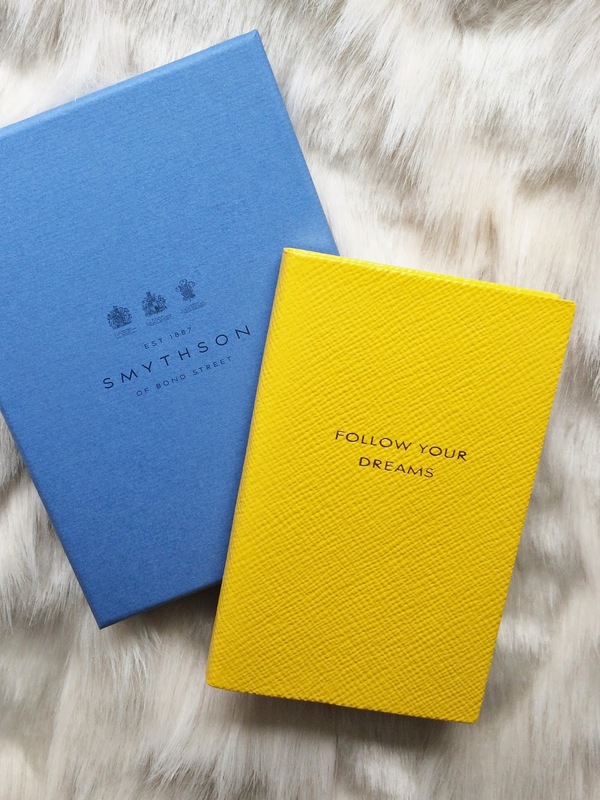 I always carry a notebook in my bag and go through a fair amount of them so when Smythson got in touch with me an asked if I'd like to try out their panama notebook - I said yes in a heart beat. This panama notebook / diary is your perfect everyday companion due to its featherweight pages and it can be squashed, folded and rolled without becoming misshapen. There is a wide range of colours to choose from and you can add a personal touch by adding monograms to it - which makes it the perfect stocking filler. 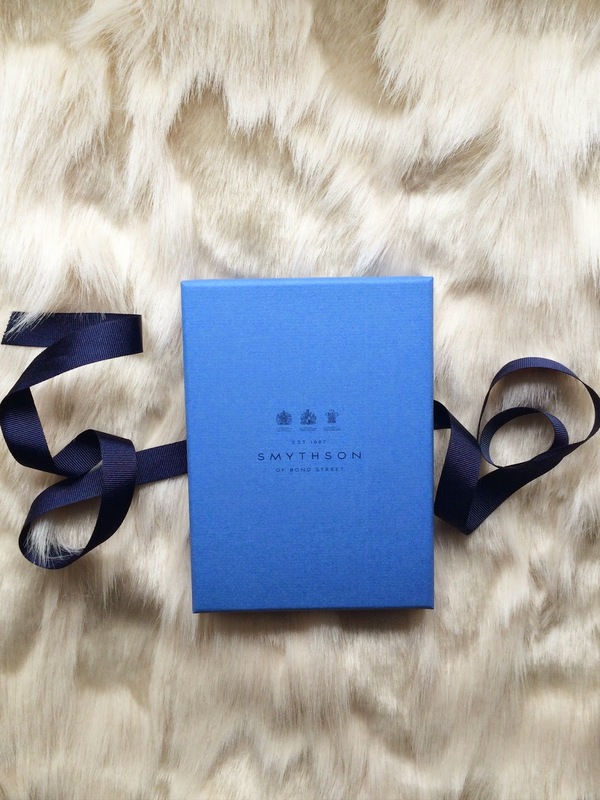 This is a sponsored post by Smythson. All thoughts are my own. oohh now those are fancy! 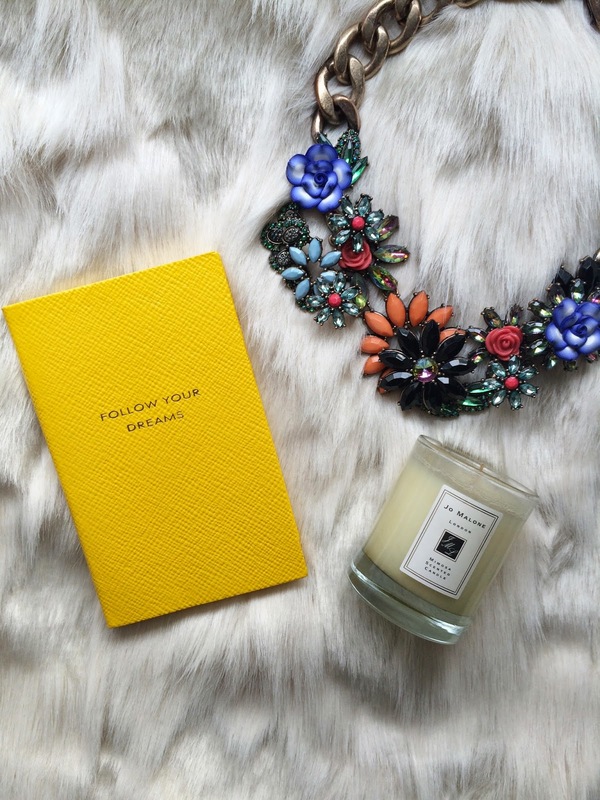 love the jo malone candles btw! Das Büchlein ist wirklich zauberhaft! Besonders der Spruch gefällt mir sehr!